Use single fold brochure if you want a simple and clean layout for your marketing material. A bi-fold brochure provides 2 panels that make it ideal for graphics- and image-heavy designs. We offer half fold brochures in our standard sizes, except 11 x 25.5. You can choose your own size through our custom sizing options. 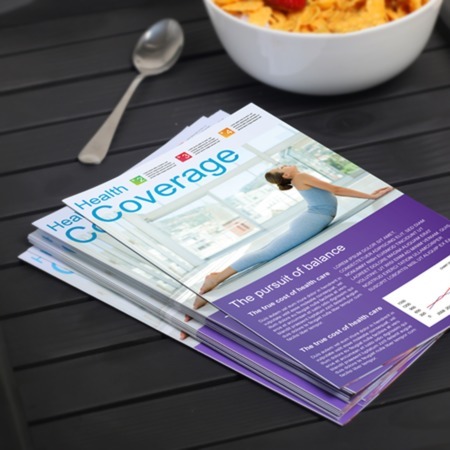 We offer brochures in 4 quality materials which you can coat with gloss or matte finish. Download our template or use our Easy Design Tool to create your layout. You can order 50-100,000 copies in a single order. Our standard turnaround time is 3 business days. For queries, chat with our customer service representatives or call us at 1-888-888-4211.